I’ll let you into a secret… we actually bought two of these! It took me a while to convince Aidan to even buy the first one. I’m not sure why… have you seen her?! Anyway, I’m glad we did as we’ve sold one to Wowie Zowie and kept one for ourselves. So, if you’re a bit keen on Ilonka, get yourself down to Wowie Zowie in Chorlton, Manchester (opposite the Unicorn Grocery store). If you look at my post about Melanie earlier in the week, you’ll notice that the sticker is the same so they must have been sold at the same shop or department store. I’d pay a fair amount of money for a catalogue of that era from that store! I found this at the Tretchikoff.au website. Startlingly similar, no? A bit like the Tina/Nina similarities by J. H. Lynch and Van der Syde. Unfortunately, without being able to find anything more about either artist, I’ve got little chance of finding out which picture came first. how much get you for it. and have you more informations about the artist? my hubby to find Ilonka yesterday…. 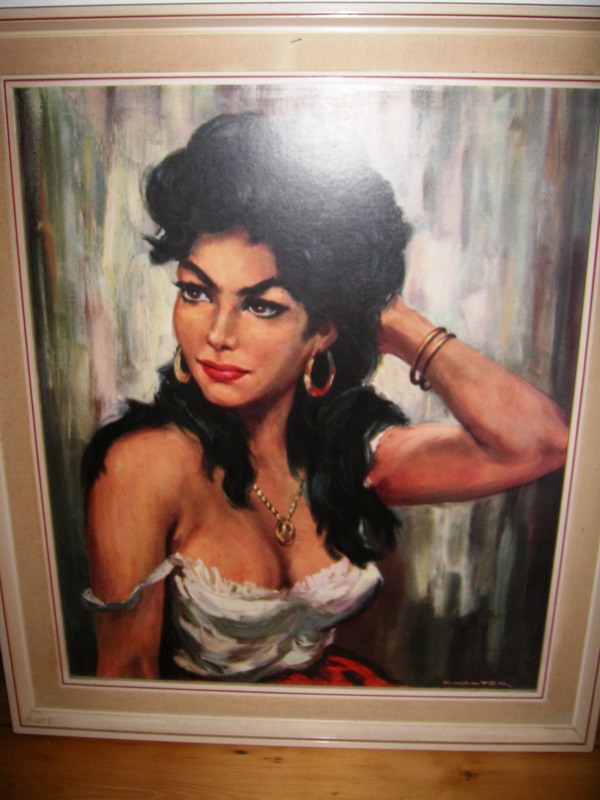 The printing done by H. Walter what you guys refer to ‘llonka’ is a painting of a VERY WELL KNOWN FAMOUS mexican actress her name is Maria Felix. She can be compared to the Madonna in 80’s who changed the music market. Well Dona Maria Felix was the Mexican Madonna. of the black & white early Mexican movies. That alone makes the painting worth $$$$. 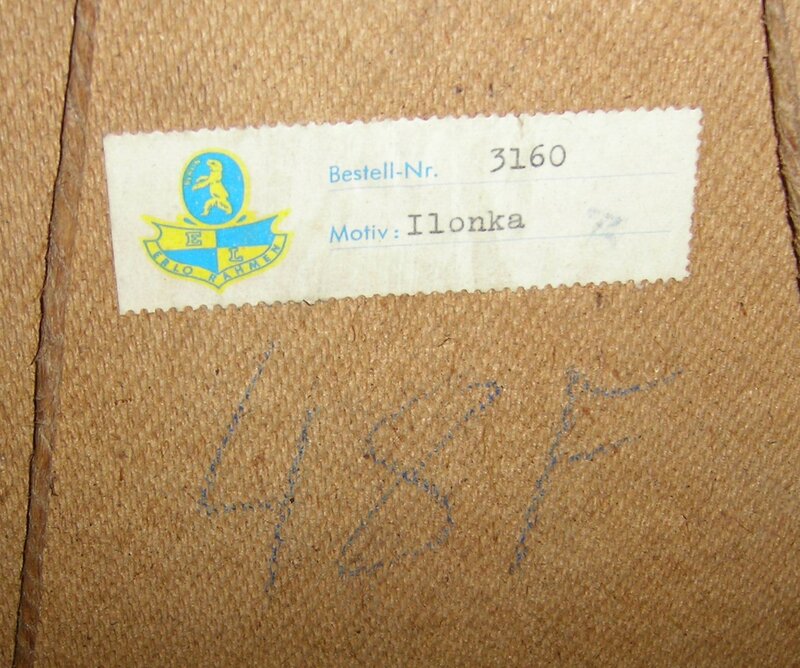 How much you paid for “ilonka”? Someone in slovakia want To sell it for 500 €. I own this Ilonka and have it hanging over my staircase. Hello, my parents have had the painting for 30+ years. 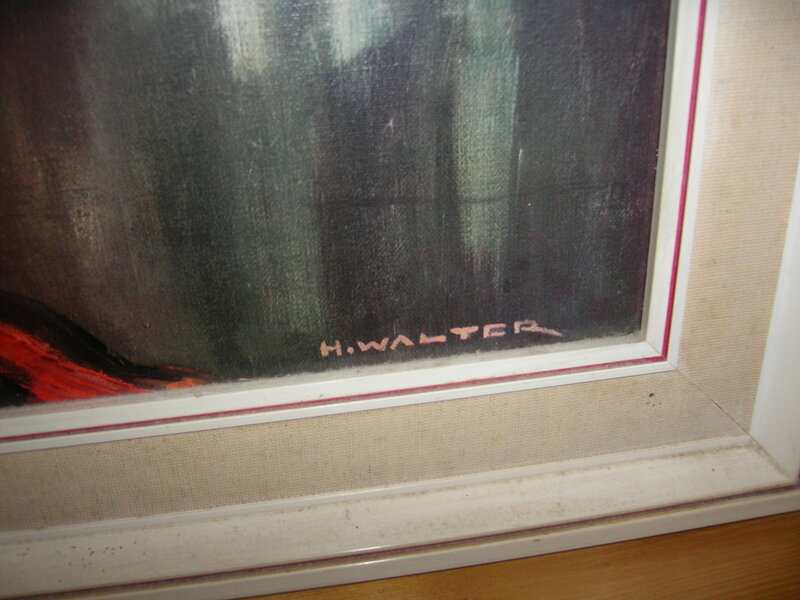 Do you have a site to research the artist H. Walter…do you know the value of the painting? Thanks so much. 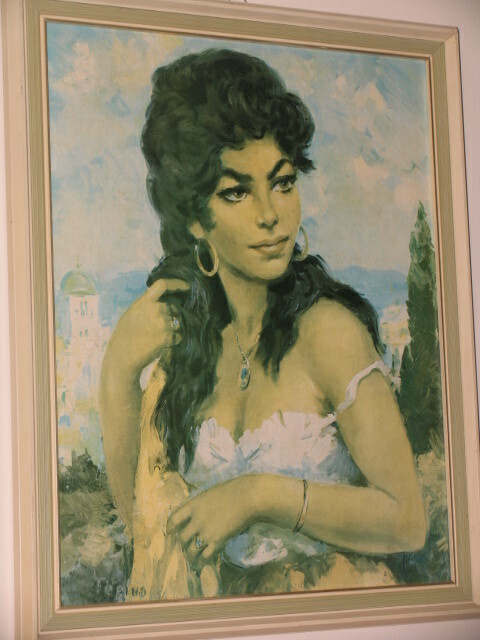 I just recently sent a picture of my Ilonka to an art appraiser in Chicago via email and her response was it has little to no value and it was widely reproduced. I find that hard to believe because you can hardly find one iota on information about the painting or the artist!! Hey. Just thought I’d point out that coincidentally, (what with your spotting the Tretschikoff on Father Ted’s landing) I have always been convinced that there is a shot of Father Jack’s bedroom (I think….. it may have been the bathroom) where you can clearly see Ilonka on the wall. I only see Father Ted occasionally now so I’ve never seen it again. Can anyone with a box set help?